It’s been a while since I sat down and wrote to everyone so bare with me. In this letter I will be telling you about some issues that we are going to be addressing and what is in the next Publish. But before I do that I want to address all the “extended maintenance” we have been going thru. As I am sure some of you might have already noticed we are moving off the old servers onto the Cloud. 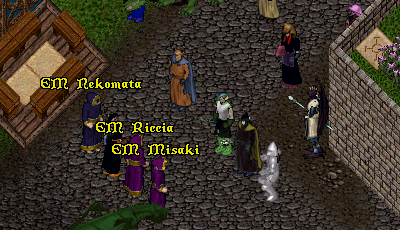 With a game as old as UO it has been challenging but we are working hard to iron out the kinks. 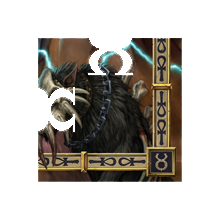 Both the East Coast and West Coast servers have been moved in addition to Europa, Oceania, and Drachenfels. •Please be cautious of buying spellbooks from vendors that might look like this xxxxxxxxxxxxxxxxxxxxxxxxxxxxxxxxxxxxxxxxxxxxxxDemon Slayer. It is not a valid Demon Slayer book and has just been engraved to appear this way. We are fixing this so all engraved text is hued in some fashion in the next publish. •Please do not try to resize your house immediately after placement. There is a known issue that you will not be able to please wait till the next maintenance cycle to attempt to resize. We have not worked out all the details that cause this so any additional information would be helpful. •Please know that fighting your pets to drop pools of blood to block house placement is being viewed as a griefing tactic. 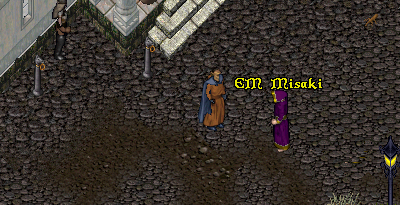 If a GM is called he will warn you, if you do not stop you will be removed from the area. This will be fixed in the next publish. •Revamping Weapon System – Reviewed and adjusted all weapon damage based on weapon speed, as well as updated various special moves. •Revamping Armor System – Made all armor types useful again. •You will no longer be able to place duped items on vendors. •New Player Council and City Voting system – Players with city loyalty will be able to run for the Ambassador for the appropriate city. This will allow them to enhance role play and manage activities in and around their cities. And new Ambassador titles. •We are looking into the possibility of allowing players to have a house on Siege and on Production. •Continuing to work on High Res art..currently working on all the wall pieces. These will not be released till all pieces of a house are finished due to the fact they look horrible together with old and new. 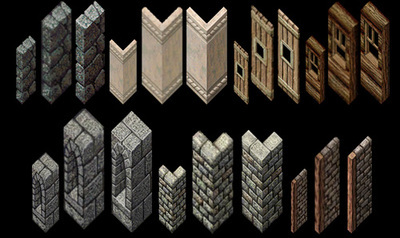 We still have many wall sets to update including doors, signs, and the roof before any high res art will be released. Please understand its taking us 3 weeks from start to finish to get each wall set type in the game. So yes this is slow going but we are going to finish it *grins* Remember now there are 45 wall sets total and we have totally completed 7. Below is a sneak peak of what you can expect to see in the future. 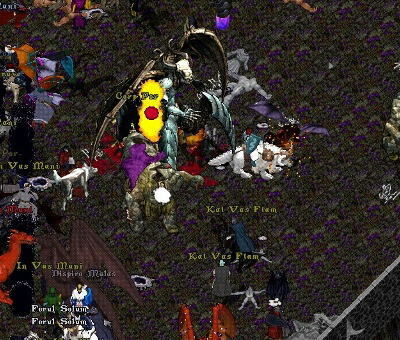 There is a lot going on in UO, so let me tell you all about it. First, there is Publish 78 which is on its way to all shards soon. 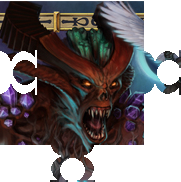 We have revised Despise, placed the artifacts on Siege only on Cora and level 3 in Covetous, relocated some of the monsters everyone is missing in other areas, and for the younger players we have earth elementals and more! The Anniversary rewards will be given out starting the month of September. As some of you know the Harpsichord is among one of the items; additional music can be found on monsters in Ter Mur. We have removed the Bless deed and added a Steward to the list, since this is an ongoing clean-up system we will be changing out items on it from time to time. Remember nothing is gone forever *grins*. We have already started working on Publish 79! I am sure everyone will be happy to know we are working on a method to distribute the Scroll of Valiant Commendation. We have come up with new seasonal content for Halloween and added a few new items to the pumpkin patches, so have fun and remember to visit your graveyards *evil laugh*. For this publish we are getting Christmas gifts and Veteran rewards put in so I hope everyone enjoys what we have come up with. Yes, sneak peeks will come later! As everyone is aware we are quickly come up on our 15th year Anniversary. To start celebrating this we are bringing back Return to Britannia for the whole month of September. I hope to see old friends and new ones! Let me go ahead and assure everyone that they cannot place houses (see we have learned from past mistakes =P). I have received a lot of emails regarding the Party here in Fairfax on the September 29th, everyone that has written in so far has a reserved slot already. We have a block of rooms reserved for you at a discount rate if you will be spending the night. Here is the link to the motel. I will be posting an agenda for everyone soon on the Herald. If you want to enter our writing contest announced on the Herald (we love to read how creative our players are), please send them to your EM’s so they can compile all the entries and send them to me. I will be sending them to the judges without names on them to avoid concerns about favoritism. The judges will be one person from the Japan team, one from the community team, EM team as a whole (EM’s will not vote on the shard they work on), Petra from Stratics, a mystery judge, and myself. Please remember it has to be between 250 and 500 words, the ones I have gotten directly have fallen a little sly of the requirements. I look forward to reading all your memories! Last but not least I wanted to tell you what we will be working on after Christmas. Publish 80 is going to be a bug fix as I promised. All we are going to be working on for this publish is bugs, both our team and the Japan team are all looking forward to being able to take a breath and fix as many bugs as we possibly can for this publish. Misk has been going thru the Stratics boards and looking for open issues that are not written up. If you do write a bug please give details so we can reproduce the issue. The whole team is really looking forward to this as much as I am sure most of you are. Will be nice to get the most pressing bugs off our plates!! So my friends this is what the team has worked on, is working on and wants to work on in the future. 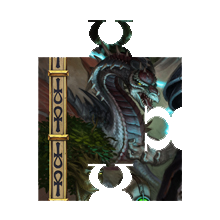 I will be putting up some sneak peeks to finish out what Jeff started in his letter to you guys so see if you can guess what the puzzle is. I know everyone will have a lot of questions, especially about the last list. When we make our decision as to what we are going to work on each publish I will give you guys a heads up. Thank you for reading this and if your coming to Virginia. Please have a safe trip! I will be putting up an agenda of what we are going to do and what you can expect of the day soon, so please keep an eye open for that. 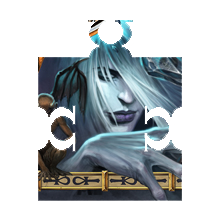 This is the second piece of the puzzle… good luck! First off I would like to thank everyone for their kind words to me regarding my promotion. I am writing this because some of you wanted an official Producer Letter so here goes. First I would like to address the Exodus Event reward. The +5 stat scroll will be put in the game as a permanent drop. This is something that was discussed as a team from the very beginning, so if you did not get one at Exodus or were not able to be at the event, you will be able to get it later. 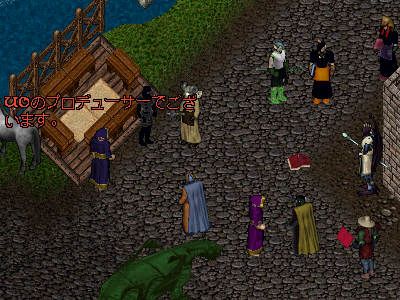 The second part is the future of UO. After we finish the holidays, which does take up a lot of time for creation for Halloween, anniversary, vet rewards etc, we are going to step back and do a major bug fixing publish. Currently we have documented 1173 known bugs in our system, I want to cut that number in half. This bug sprint will not happen till the first of the year so that will give me plenty of time to go over all the bugs in the thread on stratics to make sure we have those documented in our system. I hope everyone enjoyed Exodus and with that being said here is a fitting screenshot for the downfall of Exodus! 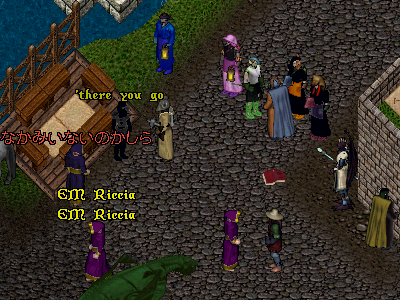 Bonnie ‘Mesanna’ Armstrong has become the Producer for Ultima Online. 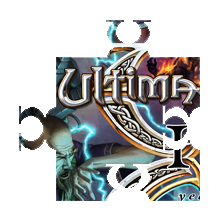 Together with Jeff Skalski, who continues his role as Ultima Franchise Producer, she will now take an even more active lead of all topics around our longest running MMO. Bonnie’s drive, dedication and knowledge of UO, together with her motivation to kill players (in-game) are well known in the office and among players. Of course this raises some questions about the directions Bonnie is going to take, questions you might ask on the boards. Apart from a “Yeah yeah yeah” song we weren’t able to get an initial statement yet – but we shall have one in the near future. Congratulations, Bonnie. Let’s lead UO through an exciting 15th anniversary and into the future. 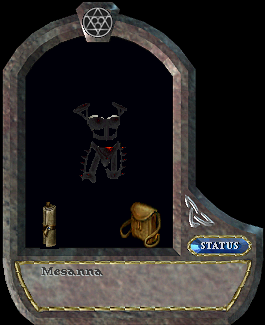 Re: Is Today Really Mesanna's Birthday? Thank you all, that was very sweet! Passes out Birthday Cake to everyone.